Bhushan Kalyan, Ravi Varma, Ajay Ghosh, Arsha, Swetaa Varma, Aditi Myakal, Vijay Marur, Gayathri Gupta are members of the cast. Written and directed by Prashant Kumar, the film has music by Vivek Sagar, and cinematography by Ravivarman Neelamegam. Editing is by Garry BH, while lyrics are by Kittu Vissapragada. Dialogues have been penned jointly by Prashant Kumar and B.Naresh. 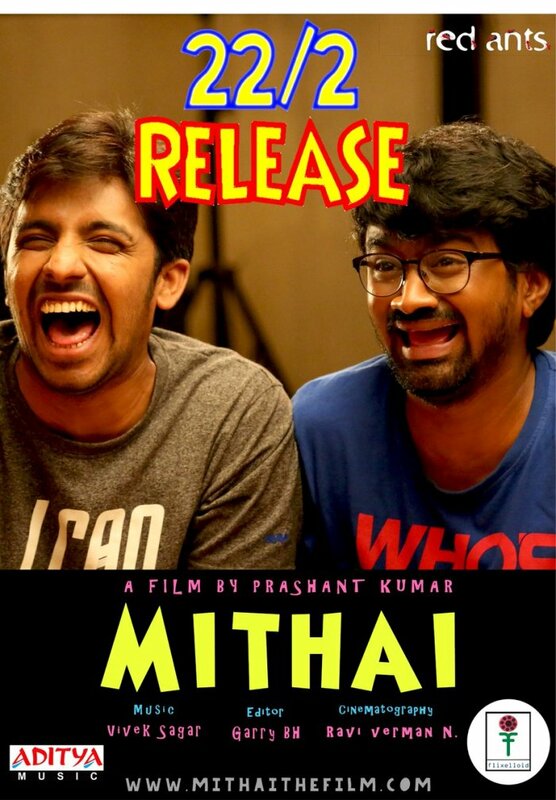 Produced by Red Ants Cinema and Dr. Prabhat Kumar, 'Mithai has been co-funded by Flixelloid Cinema, the overseas distribution partner. Music release on Aditya Music.